Dozens of GemaGema gathered in Akihabara? It causes a panic on the street! 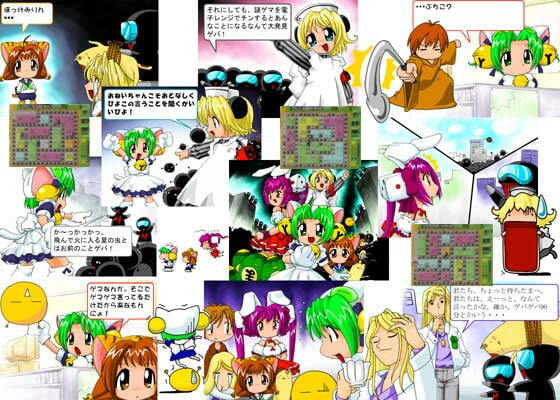 Digiko, Puchiko, Usada (all of DiGi Charat) goes to save Gamers! Their specials spark out against B GemaGema dan! Beam! Weird thing! Bazooka! Action/Adventure game with stories! !